Part I: Craps Talk: Paying for Dice Control training with hands-on instruction is an expensive purchase. Is Dice Control Possible? Is the training worth the cost? Does the setting of dice and a proper throwing technique give one an advantage over the house edge in casino craps? Our answers follow: Watch for this: Dice Control instructors create a variety of throwing components and blame failure to execute the motion correctly the cause of 7-outs. Yet, the longest recorded shoot (2009 in Atlantic City) was not from Dice Control. So why has not a Dice Control shooter broken this record? Casino USA believes in Dice Tendencies as a result of setting dice. Certain dice sets seem to bring about certain numbers more than not. We do not believe that a shooter can control Dice more than two consecutive rolls if the dice hit the back wall. However strange, we do admit that we are more confident when we see a shooter set dice and establish a throwing rhythm. Let’s not argue about it. For us, it’s about tendencies of numbers occurring not control. Dice Sets create number tendencies. Control, if real, is limited to a roll or two and extremely rare. Part III: Las Vegas for Grownups: Janie and Coach Fav review essential items that should be completed before one departs for an extended vacation thousands of miles away from home. Listeners may find information in our essential tasks list. Finally, Janie tells the story of a friend who recently won a $1,000 on a Quick Hit slot machine at The Rivers Casino in Pittsburgh. Next Podcast December 6, 2018. Call our voicemail at 724-519-4556. Part II The Top 7 Gaming Companies with casinos in America are discussed. Part II Extended: Craps Talk: Learning the Don’t Pass plays, often called the Dark Side of Craps, is important in grasping a totality of understanding in craps betting whether one plays from the Don’t Pass Line or not. Part III Janie, who sets the daily agenda for Casinos USA while on casino trips, discusses some of her vacation priorities during Thanksgiving week 2018 in Las Vegas. Episode # 50 Own the Table? Part 1. Coach Fav gives his explanation of what “own the table” means and gives advice for pass line players on what it takes to own the table. How? Secure more money with place bets than you have on the pass line and odds bet behind it. When that happens, go “off” on the place bets. So now you assured of a profit even if the shooter 7’s out not making the established point. If the point is made, you win the place bets and the line bet with odds. Either way, you own the table. Sure, bet higher on a hot table. Yet Coach Fav exposes the problem with high full odds (100X) that puts your bankroll at great risk. Is it worth it to expose yourself to possible losses that can reach thousands of dollars? Your Call, but we enjoy the game as low rollers and enjoy it just as much. a. Stay away from 6-5 Blackjack unless you are at a $1 table. b. Communicate with the dealer by hand signals, not by voice. c. Learn and play Basic Strategy for Blackjack. Blackjack is one of the best games in the casino when played correctly. The house edge is below 1% when basic strategy is played perfectly. d. Don’t play where the table uses a continuous card shuffle machine if you count cards. f. Never touch your bet chips once the cards are dealt. This is a felony offense in Nevada if the casino decides you are adding or taking away chips when your fingers touch your original bet. Part III. Janie’s favorite Las Vegas restaurants are discussed. Great inexpensive food! Call our show’s voicemail at 1-724-519-4556 to comment or ask a question. Author coachfavPosted on October 11, 2018 Leave a comment on Episode # 50 Own the Table? Part 1: Grease for Peace – What about all the “Boomer Music, Boomer Musicians” and their longevity is reviewed. So many are found in the 1400 casinos in the United States entertaining all ages. How old are they? Coach Fav gives you many of their ages. Several are in their 70’s! Part 2: Casino Group Therapy – is led by Janie who takes great exception to the YouTube’s Las Vegas talking heads that warn that staying in Las Vegas for more than 2 nights if you are not a gambler is a “waste of time.” Janie tells our story and how we spend 8-12 nights in Las Vegas Strip hotels and enjoy so much away from and outside of casino gambling. Who’s right? Hey, don’t argue with Janie. [Casino Group Therapy is a segment that we use to discuss something that upsets us]. Consider calling our voicemail to comment and give your view. Part 3: Craps Talk – Regardless of what system we may be using, we often play around by chasing craps numbers (2) and (12 after they roll once. We also call “hopping the reds” (7’s) if two 7’s are thrown consecutively on the come-out roll. Coach Fav gives you the details, how he uses these plays and how much he bets and presses. It’s a kick to try and makes me happy chasing win or lose. Follow us on Facebook Group at Casinos USA. Check us out on Twitter @casinosusa2017. Review our website at www.casinosusa.bet where all or our podcasts are archived on the podcast page. Part I Our 3-2-1 Craps Strategy for low roller pass line players was made into a video on YouTube’s COLOR UP by Jeremey Elerick. After 21 minutes of play, Jeremey, as the shooter, was up $54. That’s over $120 per hour at that rate. Casinos USA believes that our system is the best system for low rollers as there is never is more than $36 put at risk. Often the player of 3-2-1 “owns the table” because they will win on a 7-out or win even more if the point is made. So we call that “Own the Table.” To see our system in action go to YouTube Search type in 3-2-1 craps. You’ll find it easily. Thanks again, Jeremey. Part II Information about Las Vegas Time Shares and Vacation Clubs are presented. Learn about “discounted stay promotions” that are a real savings without you buying a thing; however, you have to attend the sales promotion or you will be charged full fare according to several court cases on this matter. A typical sales presentation is explained. Part III Learn all about casino promotions such as free play, BOGO dinners, reduced room rates, gifts, and 3x or 5x or 10x point promotions for players points on specific days, and concert and other show tickets. Part IV Advantages of an MLife Mastercard for MLife points. Let’s consider them. Certainly there are benefits. but always be concerned about the effect of holding too many credit cards on one’s FICO Score. Maybe open one new card, but first payoff and close a card that you have now. Your FICO score determines the loan rate on any loan that you seek. They are a big thing. Part 1: The many benefits of a late fall visit to Las Vegas are explained- nearly everything is better than visiting during July and August. Casinos USA will be in Las Vegas from Monday, November 19 through Tuesday, November 27. Part 2: Learning the benefits of the 3-2-1 low roller betting system for pass line players, Coach Fav claims his is the absolute best system for low rollers who are pass line players. Part 3: Jane and Coach Fav give a recent “Trip Report” from Rocky Gap Casino Resort in Flintstone, Maryland – America’s most beautiful casino resort venue managed by the Golden Entertainment Gaming Company, which also owns the Stratosphere in Las Vegas. Part 4: Pennsylvania Casinos are presently suing the PA State Lottery. Coach Fav explains the Casino’s complaints against the Commonwealth of Pennsylvania. Who’s right? Part I: Caller asks how to parley a diamond status from one gaming company into comps from a different gaming company. Before answering, Coach Fav discusses comps in general and explains his own attraction to casino comps. 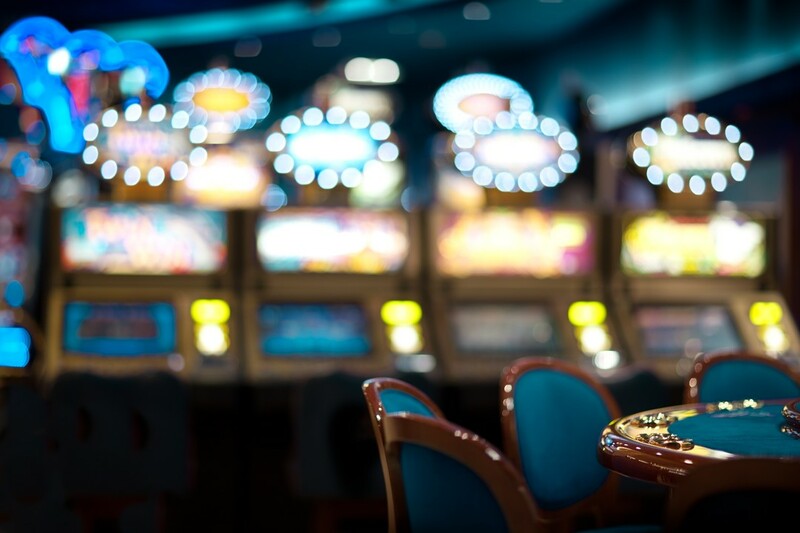 He warns in full disclosure that comps are given based on anticipated losses, which is tied to level of play and length of play on table games or slots. Honestly, in the end, most gamblers pay for their own comps by their losses. To answer the caller, Coach Fav presents his specific strategies for getting comps from a new gaming company by getting “personal” with your present casino hosts. Part II: Janie and Coach Fav discuss the value of renting a car on a Las Vegas vacation as opposed to just using Uber and cabs. Rental cars work well on weekend evenings where cab lines and Uber lines can have you in a 30 or 40 minute wait. If one wants to go “off strip” everyday, a rental car makes great sense. Janie presents actual rental costs in today’s Las Vegas. Janie reminds all to bring their auto insurance card rather than paying for rental car insurance from the rental agency, which is very costly. Consider renting a car for a day or two from within the hotel. This is easy to do and beats going back to the airport to do this. Part III. In “Casino Group Therapy” today Coach Fav asks, “Do you really know what you are getting into when you gamble in a casino?” Coach tells craps players if they do not use odds bets behind the pass line, do not make pass line bets because the “house edge” is too great against you after the come-out roll without an odds bet. Rather make one unit place bets on the 6 and 8 to enjoy craps. Low rollers are best served by the 3-2-1 pass line craps betting system that we review repeatedly. Finally, know your own limitations in any table game before you decide to gamble at a higher level. Be honest with yourself! Episode # 45 Will We Never Lose Again? Welcome to our 5th season of our podcasts. Coach Fav explains how South West Airlines credits “Wannagetaway” flight tickets, and how simple it is to cancel rooms at Bally’s, Luxor, and the Golden Nugget without monetary loss. Coach Fav then explains his 3-2-1 craps betting designed for a low roller pass line player. This system is enjoyable to play and offers pass line players a strong opportunity for success. Janie reviews our most recent casino trip to The Rising Star Casino Resort in Rising Sun, Indiana where we enjoyed the 70’s rock group, America, in concert. Also she provides the details of our very successful gambling experiences over a 3-day period. Did you know that The Rising Star Casino Resort has become so popular that management is opening a “river ferry” to carry cars from the Kentucky side of the Ohio River to the Indiana side – just to make the journey to the resort much shorter for patrons from Kentucky. It opens in August, 2018- this month. Pennsylvania casino expansion is putting another casino within 20 miles of the home of Casinos USA. Janie explains what gaming company is building at a local mall. In the final segment, “Casino Group Therapy,” Coach Fav weighs in on the long-standing debate – Who knows more about playing Craps, low rollers or high rollers? Please consider joining our Facebook group at Casinos USA and/or following us on Twitter @casinosusa2017. Our web site is www.casinosusa.bet where all of our podcasts are archived on the podcast page. Thank you, all! Author coachfavPosted on August 2, 2018 Leave a comment on Episode # 45 Will We Never Lose Again? Call Casinos USA’s 24/7 voicemail to comment or ask a question: 1-724-519-4556. Part I, a 30-something buys legal marijuana in Las Vegas for the first time. He tells his story to Coach Fav. Part II, What advantages do Come Bets have over Place Bets or are Place Bets more advantageous? Coach Fav explains the issues in our Craps Talk segment. Part III, Oliver, “the Talking Dog,” replays the best phone call the show has ever received, and we have received so many good ones. Here this caller from the other side of the earth. Follow us on Twitter @casinosusa2017; join our FaceBook Group: Casinos USA. Today’s episode is the end of Season 4. We will return the first week of August after a 10-day stay in Las Vegas! 3. Defining a cabana a bit unusal as in $50 for two chairs, Special Cabana price of $250 for a real cabana includes $250 in food and drink. Jill takes this special deal. 4. Uninvited guest in Jill’s cabana fridge happens to be a massive dead cockroach. 12. “Big Money Nick” calls the show from Atlantic City, an East Coast Vegas Alternative. The joy and agony of KENO is discussed. Thousands still love the game of KENO despite the odds against them. 13. Janie and Coach Fav discuss the idea of retiring and moving to Las Vegas.